I am big fan of cilantro and Mint flavour but my husband is not. 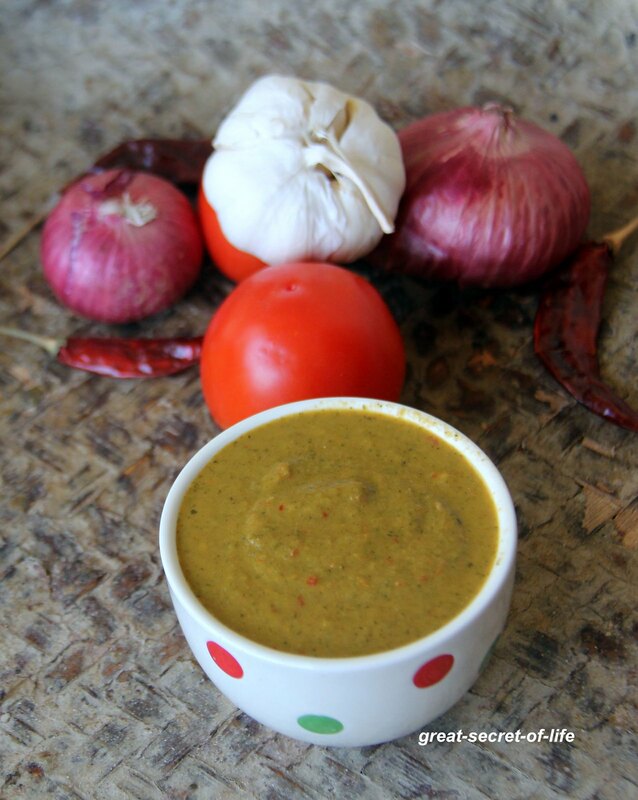 So after marriage whenever I do any chutney or dip with it is just for me and I have to do something else for him. However recently his tastebuds have changed. Now I get to do this more more often. 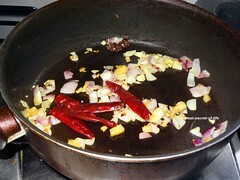 Soak Tamarind in hot water...Heat the pan and add oil. 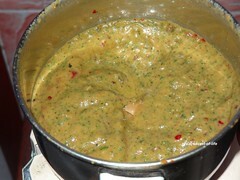 when it is hot add garlic and ginger and fry till garlic is brown in color. 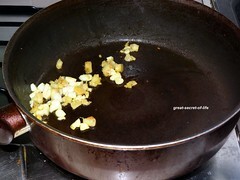 Add onion and fry till slight brown color. Add tomatoes and red chillies. Fry till tomatoes are mushy. Ad tamarind and fry for another 30 sec. 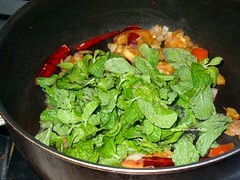 Switch off the flame and add Mint leaves. Mix well. It will shrink due to the hotness of the vessel. When it is fully cool down grind to slightly coarse paste with required water and salt. 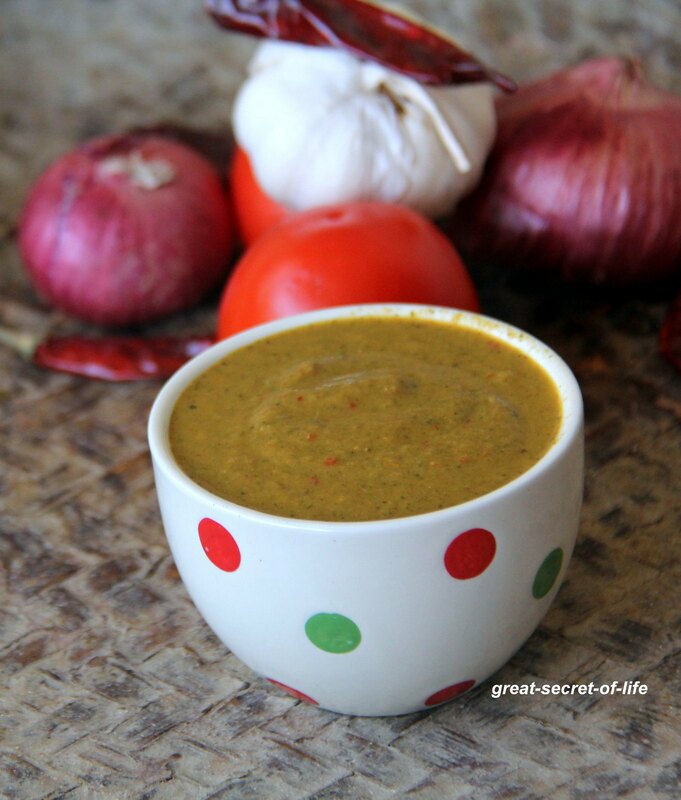 Serve it with idli / dosa. 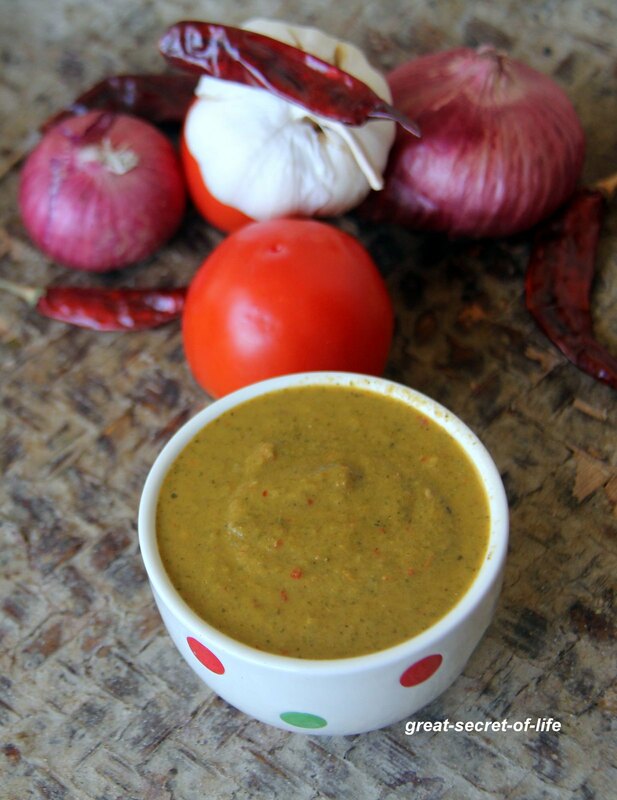 Delicious chutney, would taste yummy with idli and dosa.